Bet you can't choose just one! 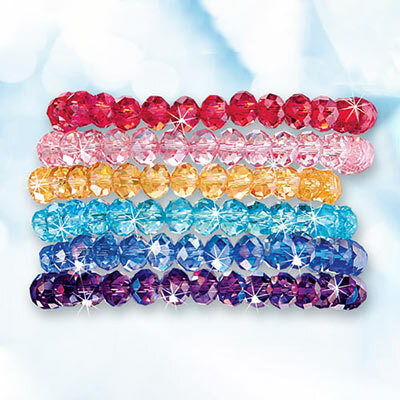 Pile on the sparkle in shades that mix and match, for just a touch of colour or a lavish rainbow effect. 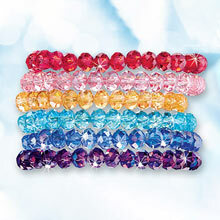 Faceted glass beads on stretch band. One size fits most. Set of 7 - one of each colour.